The naturally derived cleanser captures the antibacterial power of Tea Tree Oil to gently remove sebum excess, dirt and makeup without stripping the skin of its natural oils. The concentrated treatment for acne prone and problem skin penetrates into the skin and helps to dry out acne and pimples. 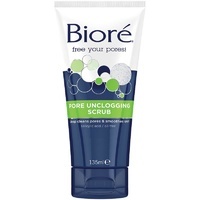 Ideal for whiteheads, blackheads, pimples and acne. This light weight Face Cream combines the antibacterial power of Tea Tree Oil with natural, skin loving ingredients to moisturise and maintain clear skin, naturally. 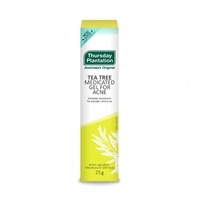 Tea Tree Face Wash for Acne 150ml : For external use only. Skin patch test prior to use. If sensitivity occurs, discontinue use. Avoid contact with eyes. Do not apply to broken skin. Keep out of reach of children. Tea Tree Medicated Gel for Acne 25g : Always read the label. Use only as directed. Discontinue use if sensitivity occurs. If symptoms persist consult your healthcare practitioner. Keep out of reach of children. Avoid contact with eyes. It is recommended you skin patch test prior to use. Do not use if foil seal at mouth of tube is broken. Contains Alcohol. Tea Tree Face Cream 65g : Discontinue use if sensitivity occurs. Avoid contact with eyes.